Hansgrohe’s designer brand, Axor, sets trends in the bathroom and does so with a diverse range of successful collections, many of which have become icons in bathroom design. The brand has forged long-standing, collaborative relationships with internationally renowned designers such as Philippe Starck, Antonio Citterio, Jean-Marie Massaud, Patricia Urquiola and Ronan and Erwan Bouroullec. Many collections arise from Axor’s proprietary WaterDream process, an open planning stage that is based on dialogue between Axor and its partner designers to create products and room designs that approach the concept of the bathroom in unique and ground-breaking ways. These WaterDreams eventually come to fruition as comprehensive Axor designer collections. 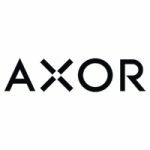 Axor products can be found the world over in renowned projects including the W Hotels in New York and Washington D.C., the Mandarin Oriental Hotels in Las Vegas and Barcelona, the Queen Mary II ship, the SLS Hotel at Beverly Hills, the Yoo luxury residences in New York and Munich, among others. Axor is supported by a Canadian customer service and sales and marketing team. For more information on the Axor Sales and MAP Policies, click here.